Fresh from MTP Glass is this collab with Firekist, this Horny Flame Rig, Combine Firekist's signature snake skin with horny flames and expert shaping from MTP. 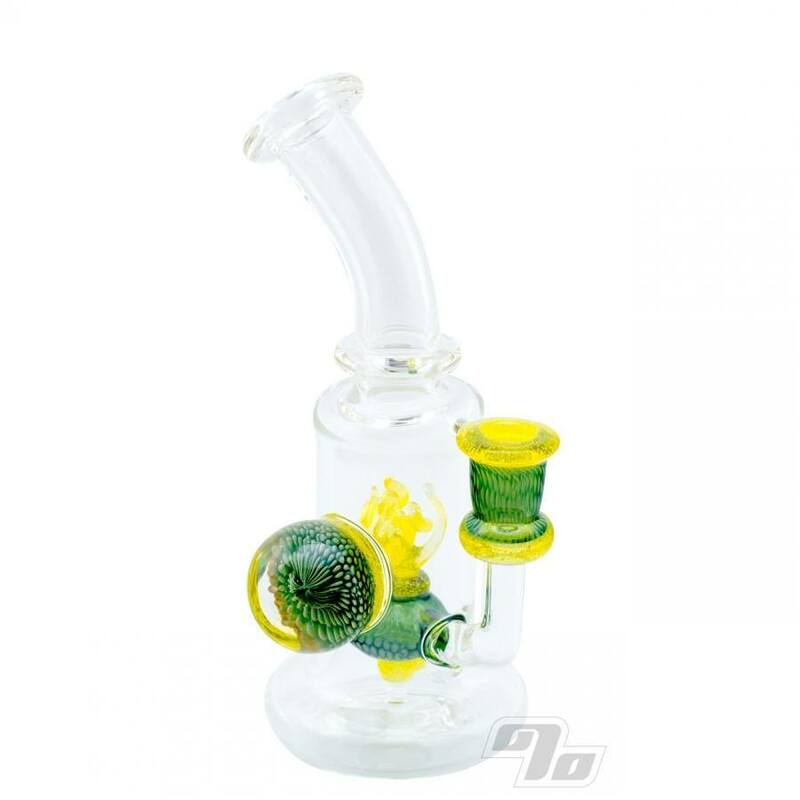 This one of a kind piece has a huge 1.75in snake skin marble affixed to the 8.25in bent rig. 5mm thick glass tubing mixed with limited edition and uv reactive Thomas's Yellow from GlassAlchemy. 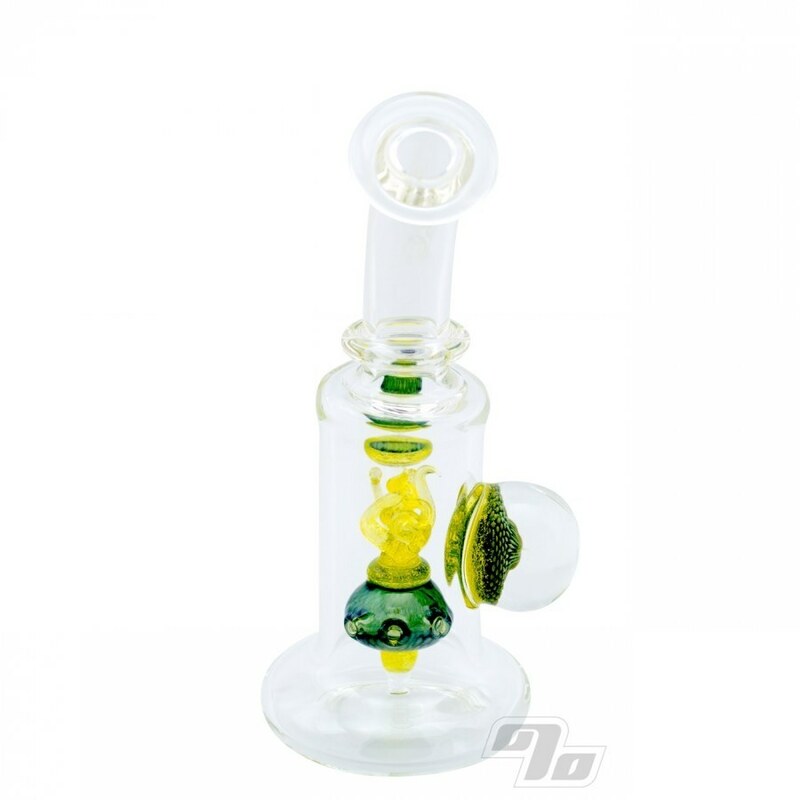 This MTP Glass rig is a one of a kind meaning what you see is what you get. Free Shipping in the US and No Sales Tax! 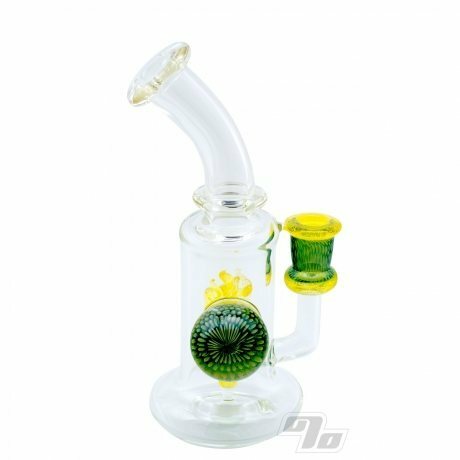 Super functional and measures up at approx 8.25 inches tall 3.25 inches diameter at base. 14mm female joint for your favorite banger or e-nail. 3 hole diffy for plenty of bubbler action on the pull and just the right amount of resistance.